Accuracy of a timepiece is significant. Taking the ship’s clock as an example, accumulative voyage error will reach to 27 kilometers in two months if the clock speed is affected by one second per day. 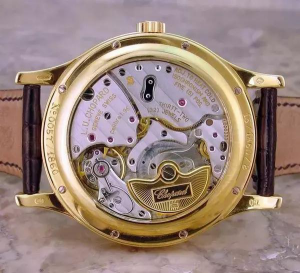 If a mechanical wristwatch daily error is more than 10 seconds, wearers can feel that obviously. 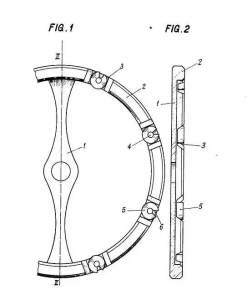 What can make a wristwatch work more accurate? To adjust vibration period is the most direct and the most commonly used method, so the adjustment device appear significant and pivotal like an auto gearbox. 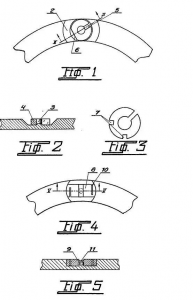 Fine time adjustment is a critical component to judge the quality of a wristwatch or a movement. For a movement, the same model will be ranked, because it is equipped with different levels of adjustment devices. 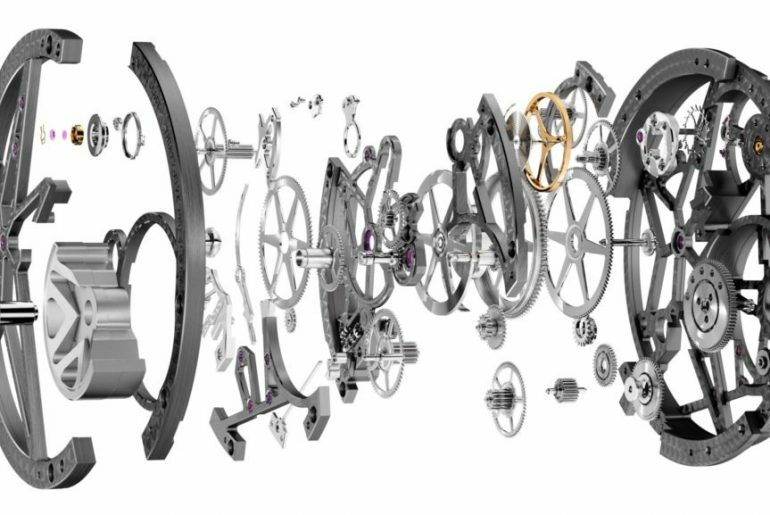 ETA movements equipped with different levels of balance springs, balance wheels, absorber devices and adjustment devices are divided into the Standard, Elaborated, Top and Chronometer. So are top movements. 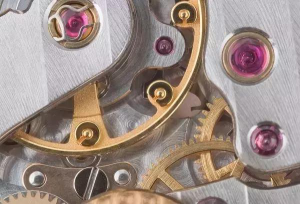 A mechanical watch made up of at least more than one hundred components and parts seems sophisticated, but its actual principle is simple. The spring power is transmitted to the escapement mechanism through some groups of gears.The hands are assembled in the gear transmission device, and the rotation speed of the gears must be controlled well if accurate time is wanted. It’s the same as the truth that the tap control the water velocity. 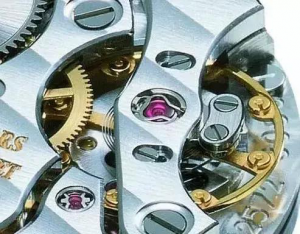 The task that controls the rotation speed of central hands falls on the terminal escapement mechanism, balance wheel, balance spring and adjustment device. 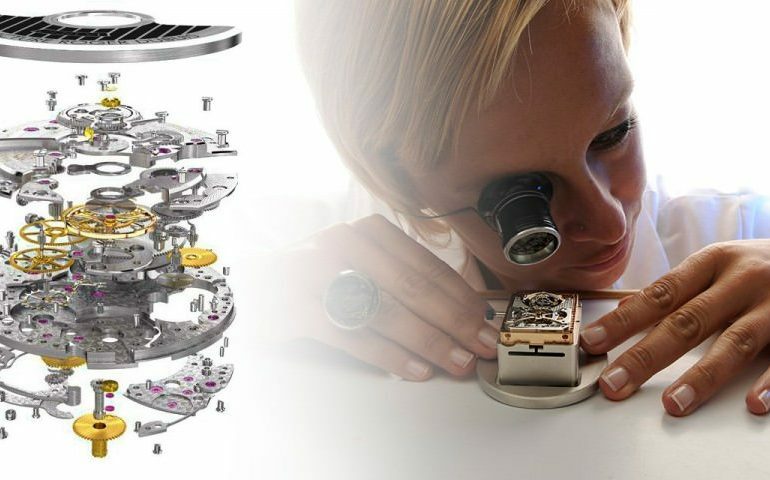 What can affect the accuracy of a watch? 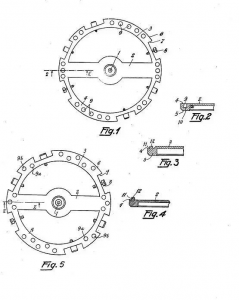 The mechanical oscillator and the vibration period. 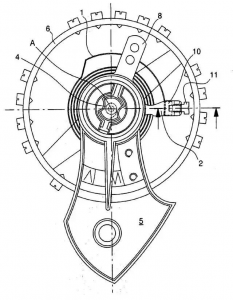 The balance wheel and the hairspring swing back and forth, and the maximum angle is called peak-to-peak amplitude. How to control the amplitude or vibration period? Two ways. 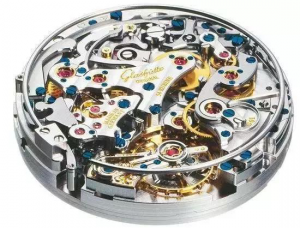 One is to adjust the actual working length of the hairspring with regulator pin, the most common way. The other is to adjust the balance wheel weight. Regulator pin is the most commonly used to adjust the accuracy of a mechanical watch. 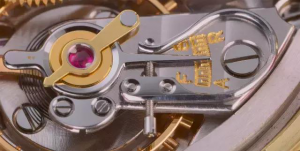 That to truncate the length of the hairspring shorten vibration period drives a mechanical watch go faster. 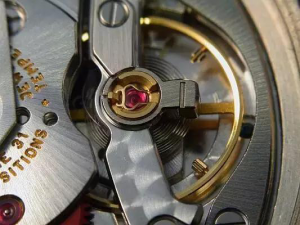 On the contrary, the vibration period get longer as the hairspring is lengthened, so the watch will go slower. The most typical regulator pin is made up of four parts: eccentric screw, V-shaped part on the head of vernier clip, hairspring stud and regulator clip. The way to adjust the length of the balance spring with regulator pin has birth defects. The regulator clip used to control hairspring working length can increase deformation of the balance spring when the spring is working. 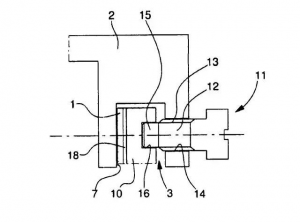 The part opposite to the regulator clip deforms the most seriously. The deformation will destroy elasticity of the spring, and it will cause instability of vibration. It’s very important for a mechanical watch to keep stable forever. In addition, regulator pin is easy to be affected by the change of spring torque, temperature variation and shock. 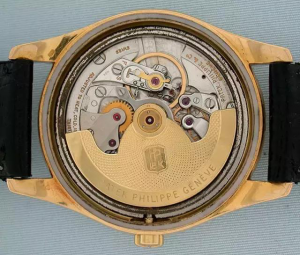 This is why almost all chronometer movements use weight used on the balance and double-deck hairspring.These wristwatches with eccentric-screw regulator pin are not expensive. Among top watch brands, I’m afraid that only Ulysse Nardin has such watches whose movement are based on ETA models.